Julian of Norwich and anchorites, who chose to withdraw from society and live permanently secluded in a room attached to a church. A statue of Julian of Norwich. Atlas Obscura on Slate is a blog about the world’s hidden wonders. Like us on Facebookand Tumblr, or follow us on Twitter. In 1413, Margery Kempe was embarking on a dangerous quest. She and her husband had agreed to be celibate: She was going to begin to live her life as a woman devoted to God, a mystic. She was about to make a pilgrimage to the Holy Land. 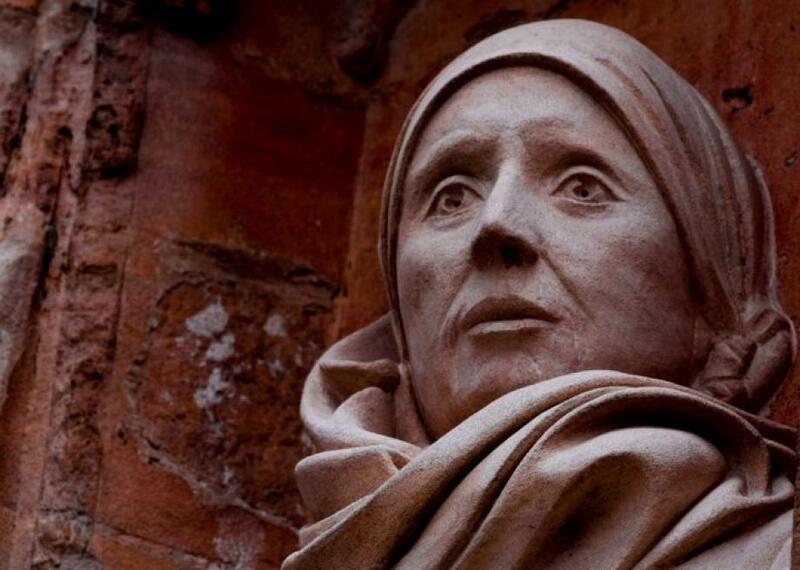 And she knew whose spiritual guidance she wanted: Julian of Norwich, the most famous anchorite of her day. In England, from about the 12th to the 16thcentury, an estimated 780 people chose to live permanently shut up in a room attached to a church. They were called anchorites, from a Greek word meaning “to withdraw,” and most of them were women. They left little record of their lives behind, and they’re little remembered today. But, in their way, they were powerful women. Julian of Norwich wrote the first published book attributed to a woman in all of English literature. And although they had just two or three small windows letting a sliver of the outside world into their chambers, anchorites were influential. They could give counsel from the wisdom they accrued in their contemplative lives, and in this way, have an outsized impact on the places and communities they lived in. Before anchorites retired from the outside world to dedicate their lives to religious devotion, a priest would say a rite of enclosure, akin to a funeral rite. The sealed rooms they lived in were not unlike tombs. (Some scholars have also likened them to wombs.) The small spaces were called anchorholds, and they were perhaps 12 feet by 12 feet, built onto the side of a church. They would have been sparsely furnished and dark: An anchorhold was supposed to have, at most, three small windows, sometimes called squints or hagioscopes. One of these windows would have had a practical purpose: An attendant would pass simple meals and other necessities through it. One window would have given a portal into the church itself, so that the anchorite could receive the Eucharist and hear the services inside. 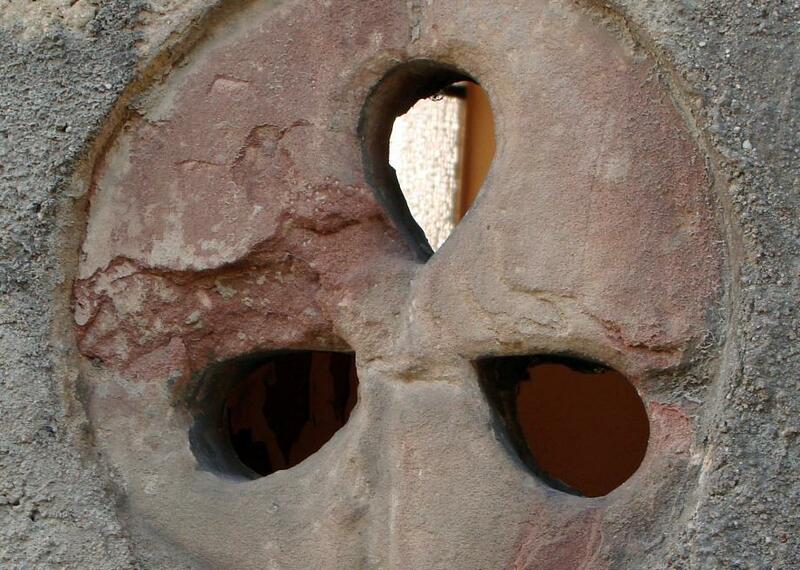 The last window would have provided the anchorite with the only connection to the rest of the world. A hagioscope in a French church. The tradition of solitary asceticism goes far, far back into Christianity: Some of the earliest devotees of Jesus Christ fled persecution for the freedom of the desert and the trials that came with it. What distinguished the anchorites was their choice to stay in one place and never leave. To enter this practice, an anchorite had to apply to and be approved by a bishop; they also needed to be wealthy enough to rent the anchorhold and provide themselves with food or have a patron who would underwrite their devotional life. Once they were walled into their anchorhold, they were never supposed to leave. In the idealized version of this life, at least, anchorites spent much of their time in prayer and religious contemplation, in seclusion. The Ancrene Wisse, a sort of handbook for anchorites and the most studied text of the practice, suggests that an anchorite would wake at 3 a.m., spend the hours until about 1 p.m. either in personal prayer or listening to services in the church, have a meal, rest from 2 to 3, pray again until 5, have another light meal, and sleep at 7 p.m. During winter, anchorites had only one meal. That was just a template, though: An anchorite called Wilbrig, for instance, lived a more punishing life, which involved fasting three times a week, possibly wearing an iron chain and performing other aggressive penances. But the lives of some anchorites might have had more variety. The Ancrene Wisse also had a long list of practices that were forbidden—a sure sign that some anchorites had tried them. The Ancrene Wisse warned anchorites not to write letters, teach classes, pass gossip, or keep valuables in their chambers. While traditional scholars usually imagined anchorites as women totally immersed in contemplation, more modern scholars tend to see them as somewhat active people, who may have chosen the anchorite lifestyle to, in some cases, increase the opportunities and respect available to them. In the Netherlands, Bertken of Utrecht, who had enough money to build her own anchorhold, spent part of her time writing tracts and songs, which were circulated in the city. She was well-known enough that when she died, six guards had to manage the crowd of people who came to pay their respects. 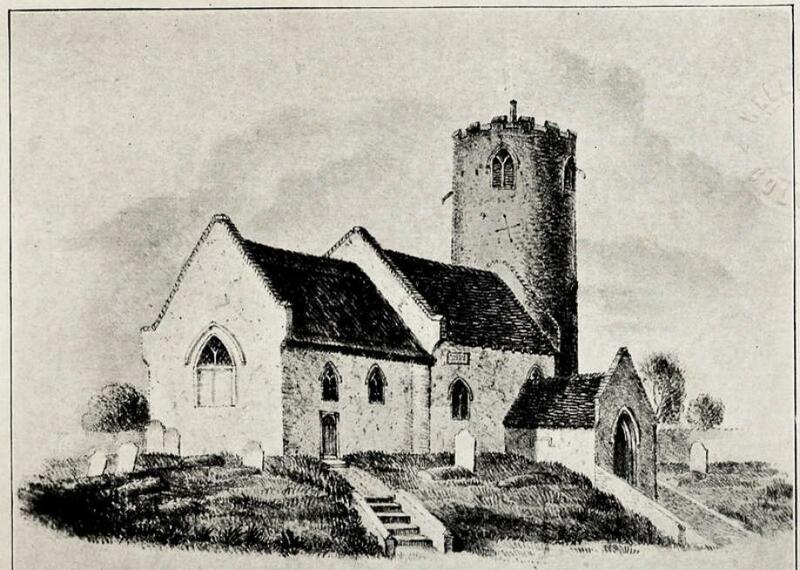 There were anchorites all over Europe, but the lifestyle particularly caught on in England and, within the country, in Norwich more than anywhere else. These days, the 133,000-person city is one of the least religious in the U.K., but in the middle ages, while York had 10 recluses at the height of the trend and London had 12, Norwich had 35. Back then, Norwich was one of the largest cities in England, second only to London, and it was distinguished by the number of unusually devout people living there. Part of the reason the city had that reputation was Julian of Norwich, who lived in the 14th century in an anchorhold at St. Julian’s Church. When she was 30 years old in 1373, she experienced a series of visions that inspired her to leave behind her previous life and dedicate herself to contemplation. Her own name is not known, but she was a famous enough anchorite that there are many records of people bequeathing her money—a rarity. Her visions, devotion, and writings made her well-known enough that Margery Kempe sought her out. Kempe was a sort of wild mystic who was dedicated to Christianity but performed her own spiritual vision very publicly. She wanted a sort of blessing from Julian of Norwich, and, according to her own account, she got what she wanted. Julian told her to obey the will of God, to follow what he had put in her soul, to ignore what the world might say, and to have patience. Kempe would need this advice, as following what God put into her soul drew criticism from men in places of power; she was sometimes described as a madwoman. There were few ways for women to make a mark on medieval British society, but religious devotion allowed both of these two women to do so successfully. Despite this, the evidence and records of their lives are scarce. Even Julian of Norwich’s anchorhold is gone; it may have simply been left to crumble as the Reformation made this lifestyle less popular. Often, when anchorites lived out their time, their anchorholds would be destroyed if no one took their place. In 1539, Henry VIII ended the practice in England. Today, there’s little trace of this medieval tradition. There are just a few anchorholds left in the country, and many of them are used for storage. This German bone house contains the remains of some 20,000 souls. The historic and abandoned Curzon Street Station in Birmingham, England, looks like a stop for ghost trains. One of Hungary’s most influential places of learning is also home to one of the world’s most beautiful libraries.